"An effort of communication beyond the reach of words." A compilation of humble sharing being intuited as spiritual experiences while traversing upon the divine path from way to Self Realization during interaction of the self with "Self" in guidance of an enlightened sage is getting reflected in "From my way to path of self realization".The contents are only for self contentment with firm confirmation to what says Lord Buddha: "Believe nothing, no matter where you read it, or who has said it not even if I have said it, unless it agrees with your own reasons and your own common sense." ← Anger is generated if the satisfaction of desire is obstructed in any way….!!! They attain to the eternal peace of God…..!!! Still like a newly borne baby, crying in lap of most revered Gurudev with closed eyes. I know nothing more than this "About Me". This given name "Mrityunjayanand" is HIS blessing. Each word being shared is HIS grace, blessings, teachings where I stand simply as HIS mouthpiece and nothing is here on or of my own. My efforts to spread HIS divine and intuitive teachings are HIS instructions and my humble services in lotus feet of most revered Gurudev. Humble Wishes!!! One Response to They attain to the eternal peace of God…..!!! The present festive moments of this great festival Holi…!!!! Mutinous senses ravish even discerning and active minds…..!!! This is true salvation after which there are no fetters of birth and death….!!! I am He, I am He….!!! Silent and peaceful departure of the soul from this corporeal frame…!!! As the water of the many rivers falls into the full and ever constant ocean…!!! With warm wishes for a very very happy New Year…..!!! Anger resides at the heart of desire……!!!! A very rich accumulation of sacred divine impulses…..!!! Spiritual journey is certainly tough….!!! The lifting of Govardhan Hill…!!! माटी की काया में, अरे कोई तो दियना जलाओ रे…….!!! To achieve the state of steady contemplation is real war…..!!! Under canopy of divine wisdom….!!!! To frame the attributes of God within boundaries of words and to discuss in details how spiritual wisdom has been understood in different modes….!! Real path of Self Realization…!!! May the festival of Vijayadashami (Dussehra) bring victory and remembrance of Lord Ram in life!!! God’s celestial maya, the power from which the empirical universe is evolved, is most difficult to comprehend…!!! Only by worship carried on through innumerable births…..!!! “Guru” is a status which is achieved through the highest level of spiritual austerities….!!! All the way it is mind…!!!! O’ God, bless me with a deep quiet life…!!! Is not this that really you are too stressed and a little bit tired….? Vices get converted into virtues…..!!! 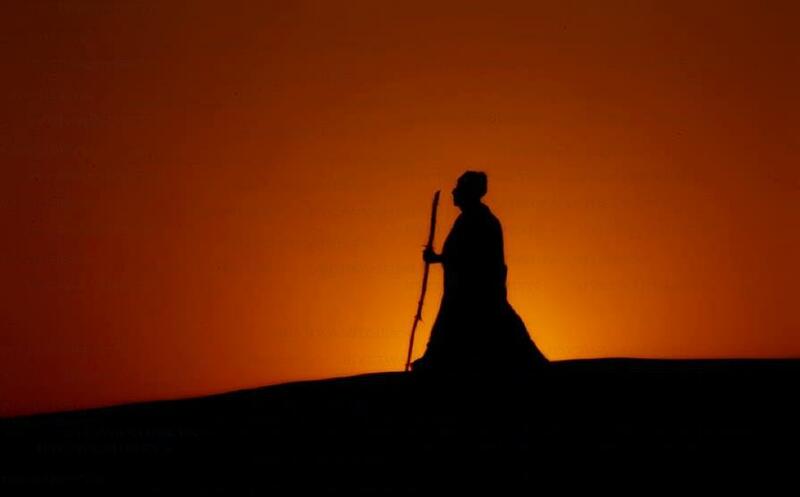 Journey from darkness of ignorance to brightness of divine light……!!! Bhagavad Gita and its scientific relevance…..!!! I am indeed, that eternal knowing….!!! He who is the ocean of bliss, mass of divine joys is God…!!! Only a seer views the Soul as a marvel…….!!! O’ Parth, as men worship me……..!!! The sage alone who beholds the individual Self….!!! Memorizing the own past with a serene mind…..!!! May God colour you and family with HIS colour of oneness…!!! The toughest task while maintaining the pace of living a seeker’s life….!!! You, O infinite, are the primal God……!!! Real spiritual pain of a true seeker…!!!! It is Only a Living, Totally Accomplished and Enlightened Guru who can Manage to Play the Part of Mother, Father and Grandsire, all the Three at a Time in a Single Span of Human Life…!!! Words are words simply…. An empty attempt to whisper about Absolute….!!! A very rich accumulation of sacred pious divine impulses in our inner realm are must to reach and resonate with the spiritual frequencies of highly elevated divine Souls..!!! How difficult it was to listen and believe….!!! Shakti on The present festive moments of this great festival Holi…!!!! Dilip on Anger resides at the heart of desire……!!!! Mrityunjayanand on May the festival of Vijayadashami (Dussehra) bring victory and remembrance of Lord Ram in life!!! Mrityunjayanand on What is control of the mind? Mrityunjayanand on The toughest task while maintaining the pace of living a seeker’s life….!!! Hans Meijer on The toughest task while maintaining the pace of living a seeker’s life….!!! Surbhi on Whom to speak about truth and reality? Hans Meijer on What is control of the mind? Manish on They attain to the eternal peace of God…..!!! Mrityunjayanand on Oṃ śāntiḥ śāntiḥ śāntiḥ….!!! Jen Walls on Oṃ śāntiḥ śāntiḥ śāntiḥ….!!! Mrityunjayanand on Lead me from death to the immortality…!!! Mrityunjayanand on Lead me from falsehood to truth…!!!! Mrityunjayanand on Lead me from darkness to light….!!! Mrityunjayanand on The disciple chooses the manifold fruits of life and tastes them, and the Guru beholds him in joy…!!! Nora on The disciple chooses the manifold fruits of life and tastes them, and the Guru beholds him in joy…!!! milica on There is line of gravity that separates God from nature…!!! Anne Terri on The celestial rays of Guru’s gracious parental affection are eternal…!!! Dr RBS Kushwah on “How Can Your Mind And Mine Agree”…? Mrityunjayanand on Blissful Guru Pūrṇimā – गुरु पूर्णिमा ……..!!! Mrityunjayanand on Getting tired honestly means one is walking the path truly…..!!! Jen Walls on Getting tired honestly means one is walking the path truly…..!!! Anish Koul on To Get Introduced With The Soul Is The First Step To Touch The Lowest Level Of Soul Consciousness …..!!! Reema on No attachment to any amount of even least attained detachment…..!!! Mrityunjayanand on Yog is the joining of the Soul…………!!! Mrityunjayanand on With who should I play Holi? delaire on Yog is the joining of the Soul…………!!! Robin Ruiz on What Is Seen Does Not Exist….What ‘IS’ Cannot Be Said….!!! delaire on What Is Seen Does Not Exist….What ‘IS’ Cannot Be Said….!!! bankim vaid on Death of a mind…!!!! prashant on Hey…… Good bye departing year…..Good bye….!!! Mrityunjayanand on My master’s voice temple,the source of divine inspiration….!!! Mrityunjayanand on Eternal happiness comes only to him who is unattached to pleasures…..!!! Jen Walls on My master’s voice temple,the source of divine inspiration….!!! Norbert,Benjamin, Delaire on Eternal happiness comes only to him who is unattached to pleasures…..!!! Mrityunjayanand on Is this man truly like scattered patches of clouds because his mind is divided and he is confused? Dilip Sharma on The seeker on the Way of Selfless Action…..!!! Pankaj Joshi on Man Is Born In The Bodies That Are Shaped By His Own Will…!!! alur sudhakar on Shelter in celestial shadow of totally accomplished and enlightened master’s lotus feet is the true definition of real ashram….!!! Terry Tree on The loving acceptance by God!!! Jennifer Walls on Restraint of desire and will is a victory of the mind….!!!! Mrityunjayanand on Restraint of desire and will is a victory of the mind….!!!! Geetadhara (www.geetadhara.org) is a non-profit organization with the sole purpose of spreading the spiritual wisdom across humanity by providing educational commentary on various objects that may appeal to the human mind. Some of the content on this site may contain copyrighted material the use of which has not always been specifically authorized by the copyright owner. Such material is made available here for non-profit educational purposes only. It is believed that this constitutes a 'fair use' of any such copyrighted material as provided for in Title 17 of U.S. Code, section 107 of the US Copyright Law. Geetadhara reserves the right to edit or delete any comments submitted to this site.